I’m ten years into my century, and so I think it’s time to take stock. The first ten years were always going to be the easiest, with the risk of picking up a book and finding it dated from a year already covered at it’s lowest. But that isn’t to say there haven’t been clashes: I ordered Scenes of Childhood by Sylvia Townsend Warner and Still Missing by Beth Gutcheon from the library only to find that they were both published in 1981. And there have been a few other occasions when I’ve found a book, gone to add it to my spreadsheet, and found that there was another book already in the space I had intended it to fill. My first ten books are tilted towards the end of the century. I knew I’d have most difficulty with the later years, and so whenever I’ve seen an oldish book on the library shelves or around the house I’ve picked it up. The eighties and nineties are shaping up well, but the decade I’m really struggling with is the seventies. Suggestions would be most welcome! It’s very strange, reading a crime novel that’s set almost literally on my doorstep. That’s my library and my promenade, where a certain dog always runs to see off the gulls. Janie Bolitho captured my hometown, as it was back in 1999, absolutely perfectly. And she created an engaging heroine, who I could quite happily believe is still living just a little further around the bay. Rose is a youngish widow who is gradually picking up the strands of a new life. She has good friends, she earns a living as a photographer, and she has taken up painting – always her first love but not the easiest way to earn a living – again. A new artist friend encouraged Rose to go back to painting with oils, and Rose decided that a crumbling mine shaft would be a good subject. That’s why she was out alone in the country when she heard a scream. Rose called the police, but they found nothing. DCI Jack Pearce accused her of wasting police time, but Rose was certain of what she heard. The situation was uncomfortable. Rose and Jack were friends who might have become something more but she pulled back. And he didn’t. Then there was a murder. A young artists’ model was found dead. Suspicion soon fell on the ex-lover she wanted back. And on Rose, who had a friendship with him that could easily turn into something more. A second body was found. In the mine shaft. As the police investigated, and Rose tried to work out what had happened, it became clear that the community of artists had many secrets and jealousies. This a simple and uncomplicated mystery, built on traditional lines and brought to life by interesting and eminently believable cast of characters. It was lovely to drop back into Rose’s life for a while, and to see my hometown through her eyes. 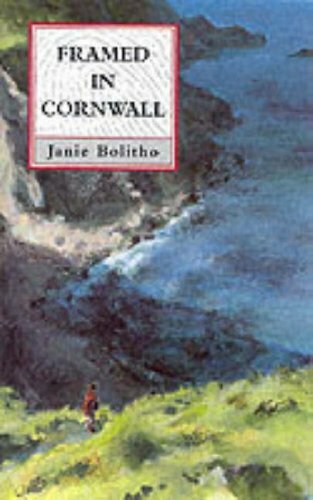 Jane Bolitho once again caught Cornwall and the Cornish perfectly, and I can feel the love with which she wrote. I have to say that this isn’t her strongest story. I have no problem with the main plot strand. I worked out quite early on who the murderer must be, but the mystery was solid, I was happy to watch events unfold, and there was a nice little twist at the end. But I did have a problem with the explanation of what happened at the mine shaft. There was rather too much contrivance. Without that I could have read an account of what happened in the local paper and believed it. Utterly. I’m not rushing back to the library to pick up the next book in the series, but I will be reading it. Not so much for the mystery, but because I want to follow Rose’s life, and because I love seeing my world through her eyes. When I set out on Kerrie’s Crime Fiction Alphabet I promised myself two things. The first was that I would read nothing just for the sake of filling a slot, that I would only read books that I would have picked up sooner or later anyway. I’ve managed that, though I did have to bend the rules a little for the difficult letter X and I had to throw in an emergency short story when the book I’d picked for letter Y let me down. The second was that I would mix things up, and choose some familiar and some less familiar books. Persephone books for H and X, and a classic short story by a Persephone author for G.
A Virago Modern Classic, and a winner of the CWA Gold Dagger to boot, for K.
A wonderful anthology of new writers at W.
Victorian crime for S and Victoriana for U. I would have liked to read more of both, but I ran out of time and letters. Crime fiction in translation at L and V.
A Cornish book, set in very familiar countryside, at B.
Agatha Christie re-reads at A and F. A for Agatha seemed to be the perfect place to start, and once I had re-read one book a number of others called me. Neglected woman authors, who were published in numbered green Penguins, at E, M, P and R. If I have learned one thing through the alphabet, it is always to look carefully at green Penguins as there are some real gems there. Male authors from the middle of the last century, who aren’t as lauded as some but really should be, at I, N and Q. A lovely range of contemporary crime fiction at C, D, J, O, T and Z. And that excellent, emergency short story at Y.
Here’s the A to Z in full. And that really is the end of the alphabet. So where does my crime fiction reading go now? Well, I have The Quarry by Johan Theorin, A Herring on the Nile by LC Tyler, Now You See Me by S J Bolton, and two books by Erin Kelly in my library pile. My own green Penguins and my Agatha Christie collection are calling too, Plus those authors I discovered, and rediscovered, along the way and want to read again. And recommendations I picked up from others along the way …. B just had to be for Bolitho – it’s such a local name. I live near lands owned by the Bolitho estate, and I was born in the Bolitho Maternity Hospital. And so for letter B in my Crime Fiction Alphabet I am writing about a local author – Janie Bolitho. She was born a few miles up the coast at Falmouth but she lived for many years, like me, on the Penzance seafront. Last year I read Snapped in Cornwall, the first of seven mysteries featuring Rose Trevelyan, and I liked it more than enough to seek out the second mystery – Framed in Cornwall. Rose still lives just a mile away from me, in the fishing port of Newlyn. She’s a photographer, a would-be artist, and a young widow. I could I think Briar and I might bump into rose when we walk along the seafront towards Newlyn. Yes, she’s believable, and engaging too, so I always wanted to know what would happen to her, what she would find out, and I kept turning the pages. Rose and Dorothy Pengelly were good friends, and Rose was horrified when she discovered her friend dead in her armchair. A sudden heart attack she thinks, or maybe a stroke. But the police say it was suicide. Rose will not, cannot believe it. But what else could it be? Who would want to kill a harmless elderly widow? Dorothy’s home was remote and so she didn’t see too many people. Her younger son Martin, a simple soul, lived in an old abandoned caravan not far from his mother and visited her often. But her elder son Peter, who had a wife and children, lived not much further away and she hardly ever saw him. Dorothy usually only ventured out as far as the village shop. The shopkeeper was friendly, but he had been distracted as the woman he lived with, who was the cornerstone of his life was seriously, terminally ill. But if she ever needed to go further she had a good friend and neighbour, Jobber Hicks, who would give her a lift. A very well drawn, very well balanced cast. But could one of them have killed Dorothy? Or could Dorothy’s death have been connected with the man who came to visit her just days before she died? Rose is determined to find out what really happened and, of course, in time, she uncovers the truth. 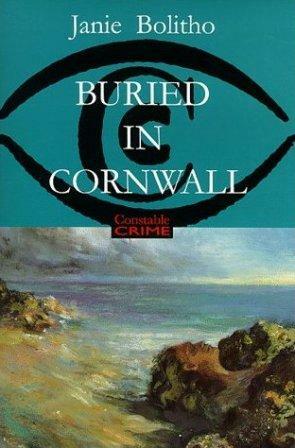 Framed in Cornwall is a good, solid traditional mystery. There’s just enough going on to keep it interesting, and the characters, their relationships, their behaviour all rang true. Cornwall and the Cornish captured beautifully. A few small niggles – some quite unnecessary withholding of information that Rose knew from the reader, and an even more unnecessary woman in peril drama at the end – were more that offset by the things that Janie Bolitho got spot on. Her plot was very well constructed, but what made it sing was that there was more here than just a mystery. There some intriguing developments in Rose’s life and, maybe best of all, there were well told, and quietly moving, emotional stories. And all of those strands were balanced quite beautifully. I’ll definitely pick up the third book in the series, to find out what happens in Rose’s life and to see just how she finds her way into another mystery. The Crime Fiction Alphabet is hosted by Kerrie at Mysteries in Paradise. So next week, C is for … ? Twelve months ago I set off on operation “Read Cornwall”, because there were so many wonderful books from and about my own particular corner of the world that I wanted to read and celebrate. I set myself a target of twelve books a year, and I am pleased to say that I have done it and that I loved it. I knew that I would, but I had to set the target so that I wouldn’t be distracted by other things. Rambles Beyond Railways by Wilkie Collins in a restored Victorian edition was heaven, and a book that I could quite happily read over and over again. 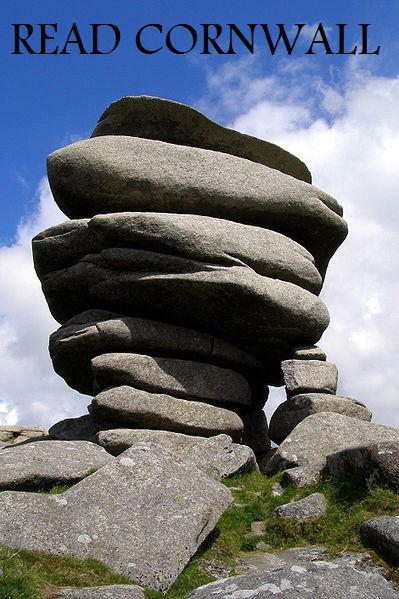 Snapped in Cornwall by Janie Bolitho was a mystery built on classic lines, and it captured West Cornwall perfectly. A very solid start to a series. Bell Farm by M R Barneby was a family tale, simple but very effective, and it painted wonderful pictures of the countryside and a seaside farming community. Archelaus Hosken’ Dilemma by F J Warren was a little comic gem, cleverly constructed and a masterful piece of storytelling. Love in the Sun and Paradise Creek by Leo Walmsley were my books of the year, telling stories and catching the magic of real lives absolutely perfectly. Roots and Stars by C C Vyvyan was a memoir of fascinating twentieth century life. Lady Vyvyan was a writer, traveller and nature lover, and I was charmed. i’ll definitely be reading more of her work. Sarah Strick by Randle Hurley was lovely collection of comical tales set in my hometown in the 1940s. I was charmed and I could quite believe that my grandparents had known these people. Manna From Hades and A Colourful Mystery by Carola Dunn were cosy mysteries set in a rather idealised 1960s. That threw me for a while, I liked the cast and the stories (well the first story, the second was weak) and so I kept reading. An Unsentimental Journey Through Cornwall by Mrs Craik was another wonderful Victorian travelogue. I loved the author and I loved seeing Cornwall through her observant and perceptive eyes. The Burying Beetle by Ann Kelley was a gem. The day-to-day life of a twelve-year-old girl who is both seriously ill and wonderfully alive, perfectly observed and beautifully written. I’m delighted with my dozen for 2010 and there will definitely be another dozen in 2011. Framed in Cornwall by Jane Bolitho is lined up for letter B in my crime fiction alphabet. From East End to Lands End by Susan Soyinka is an account of the wartime evacuation of the pupils of the jews’ Free School in London to a Cornish fishing village. There is a wealth of detail and it is so engaging: a book for both head and heart. The Bower Bird by Ann Kelley has already found its way home, because I so want to meet Gussie again.